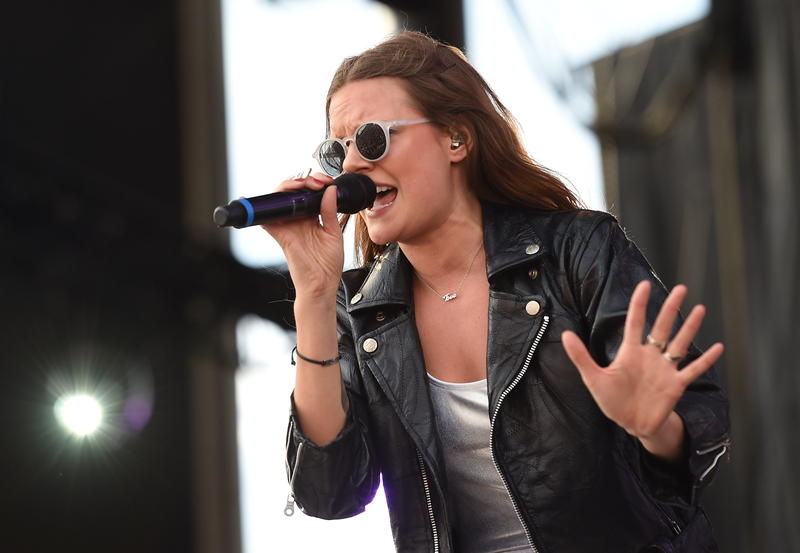 The past two years have been big ones for Tove Lo. People have always had a thing for Swedish artists over here in the States (ahem, ABBA and Robyn) and when Tove Lo exploded onto the pop charts with her hit, "Habits (Stay High)" we were paying attention. The song was first released in Sweden in 2013, and I remember becoming obsessed with it when I heard it on a blog. Tove Lo herself was also super hot, stylish and Swedish, things we can almost all agree on being good. One thing that definitely also stood out to me was her unique name, so if it's a stage name, what is Tove Lo's real name? Musicians and actors are definitely known to use a stage name to really capture their true essence or stand out in the crowd. Like, when you look at Abel Tesfaye (whose stage name is The Weeknd), it kind of just makes sense that that's his name. He also said he just chose it because "it sounded cool." Well, sometimes that's all you need. I have known some lovely Swedes with some very Swedish names, and Tove Lo's real name definitely counts as one of those. It’s been my nickname since I was about three years old. There was this lynx at a zoo that was called Tove, and that I totally fell in love with. It was my dear godmother who decided to call me Tove Lo, after that lynx. It stuck. When I eventually needed a stage name it felt natural to use that nickname, even though it’s hard for people abroad to pronounce it. Most people just call me T Low. Except for the really swaggy guys who call me T Whizzle. I love that. Now that I think of it, I had a feeling that I was pronouncing Tove Lo wrong and I most definitely was. Well, according to Tove Lo herself, there are a few ways to say it, but the proper Swedish pronunciation sounds like TOO-veh LOO. The proper Tove Lo sounds way cooler than how I was saying it and rolls off the tongue easier than Ebba Tove Elsa Nilsson, so shout out to Tove Lo for once again being one of the raddest women in music, in name and everything else.